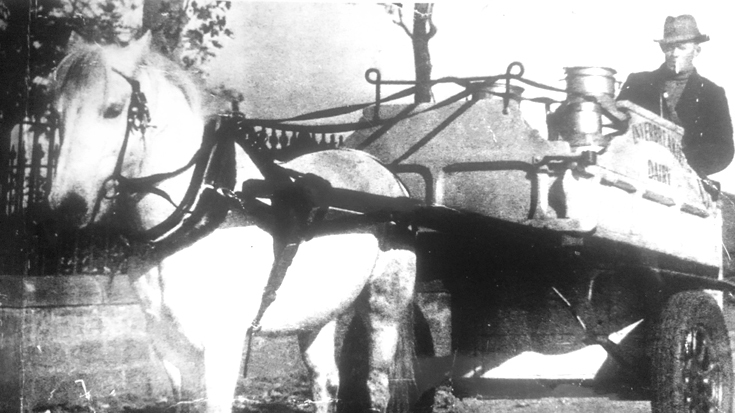 This is a photo of my late grandfather, Alexander “Eckie” Murray, driving his old milk cart down Cromlet Drive, Invergordon. We think the photo was taken in the late 1940s. One of my favourite pictures! I think in those days Cromlet Drive was a dead end where a path started to go up to "Bulls Hill", this was before any new housing was built up there.